Welcome to the MJRU website. 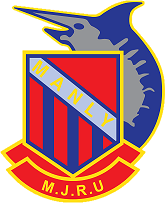 Manly Junior Rugby Union is responsible For junior rugby union in the Manly District from U6 - U18. As a body, it represents the interests of its five Village Clubs. Junior Rugby in Manly is going from strength to strength. Our 5 Village Clubs all share a commitment to provide fun, safe and enjoyable rugby for kids of all size, body shape, and ability. MJRU 2019 Rep Squad Regisatrations are now open.